2015 is the bicentenary of Anthony Trollope’s birth on 24th April 1815, and the Trollope Society and other organisations (such as the British Library, the Post Office, the BBC, the Catholic University of Leuven and Oxford University) have planned a whole series of events to celebrate this anniversary. But I didn’t know that when I began reading his Autobiography. I found it absolutely fascinating, even though I’ve only read two of his books, The Warden and The Way We Live Now, both of which I enjoyed. I’d almost forgotten about his Autobiography because I’ve had it for so long. Although it was new when I bought it the pages are now yellowed and the paperback a bit worn and damaged from moving house. I bought it when I was doing an Open University course and my tutor was an avid fan of Trollope. Part of the reason it has sat unread on my shelves is that when I bought it I hadn’t read any of Trollope’s books and I thought it would be better if I knew a bit about his work before reading about his life. So now I’ve read two and have started reading Barchester Towers I decided it was time to read it. 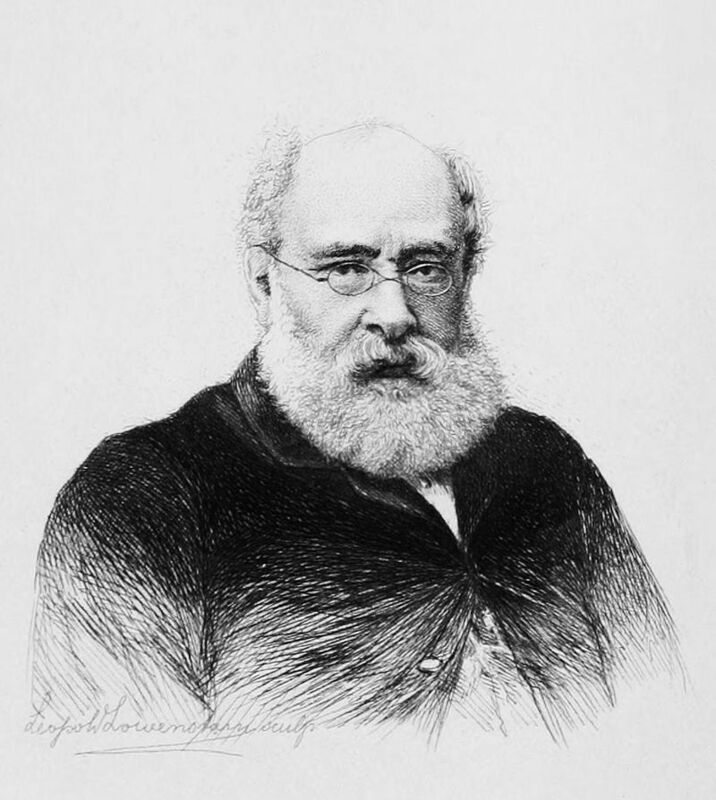 Anthony Trollope was the son of an unsuccessful barrister and had a miserable childhood, his family most often in debt and struggling to make ends met. It was his mother who supported the family through her writing. He was unhappy at school where he was bullied, always in disgrace and had no friends. When he was 19 he became a clerk in the London Post Office, eventually becoming a Surveyor, working in both Ireland and England and he introduced the red pillar boxes to Britain. I found it fascinating because it is not only his life story – his unhappy childhood, his work in the Post Office, including his work in Ireland and abroad, his marriage and family life and his love of hunting, but Trollope also writes a lot about his writing, criticises his own books and discusses his fellow writers in a chapter called ‘On English Novelists of the Present Day’, including – Thackeray, George Elliot, Dickens, Wilkie Collins, Charlotte BrontÃ« to name but a few. Remarkably whilst he was working full time he was also writing his novels. His practice was to get up at 5.30 am and work for 3 hours before dressing for breakfast. He wrote with his watch before him, writing 250 words every 15 minutes. But he didn’t confine his writing to the early hours he also wrote whilst travelling on trains, making a ‘tablet’ to write on and ‘found that after a few days’ exercise that I could write as quickly n a railway-carriage as I could at my desk. I worked with a pencil, and what I wrote my wife copied afterwards.’ He included a list of the books he had written with the dates of publication and the sums he had received for them, totalling £68, 959 17 shillings and 5 pence. They must be with him as he lies down to sleep, and as he wakes from his dreams. He must learn to hate them and to love them. He must argue with them, quarrel with them, forgive them, and even submit to them. He must know of them whether they be cold-blooded or passionate, whether true or false, and how far true and how far false. The depth and the breadth, and the narrowness and the shallowness of each should be clear to him. Am always really curious about the lives of novelists and his anniversary is a great excuse to finally finish the Barchester Towers. I’m also re-reading Austen’s Emma because it’s the 200th anniversary of its publication. This is one I definitely plan to read. I’ve read the first two Barchester books and now need to read more… plus some of the stand-alones which I gather are also quite good and available free for Kindle. I also have a copy of a book called Trollope the Traveller which is excerts from his travelogues. I thought it was excellent when I read it a few years ago. I think you’ll like it! I’ll have to get Trollope the Traveller – he writes about his travel books in his autobiography – in the West Indies, North America, Australia, and New Zealand ans Soth Africa! An amazing man. Sounds really interesting, Margaret! I enjoy learning more about authors, and autobiographies really let you in on the way the author thinks. Glad you enjoyed this. This ois one which I definitely must read. I’ve enjpyed a lot of his books. I loved The Barchester Chronicles but then I read The Palliser series and loved that too, I think they must have taught John Major a lot about how to get on in political life! TheThree Clerks is a great read too and just goes to show that things never really change.